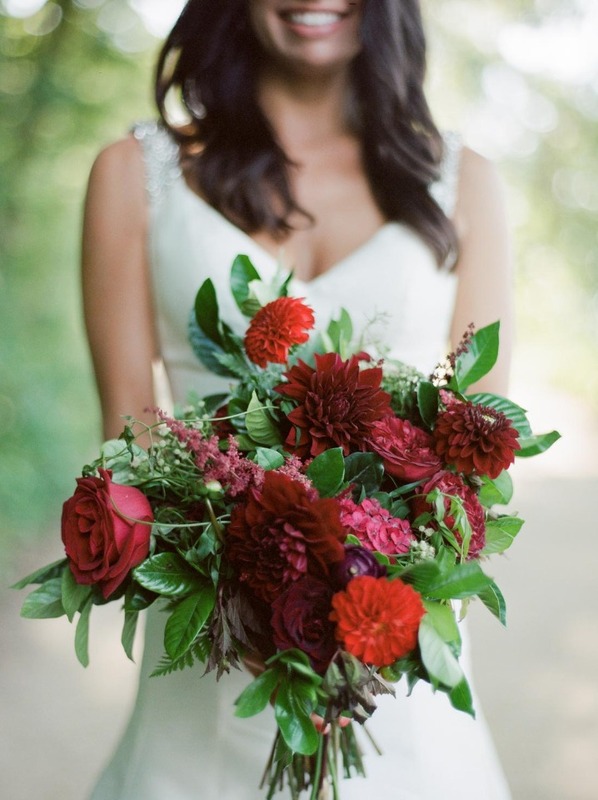 Jewel Love this Wisconsin wedding and its gem of a color palette! 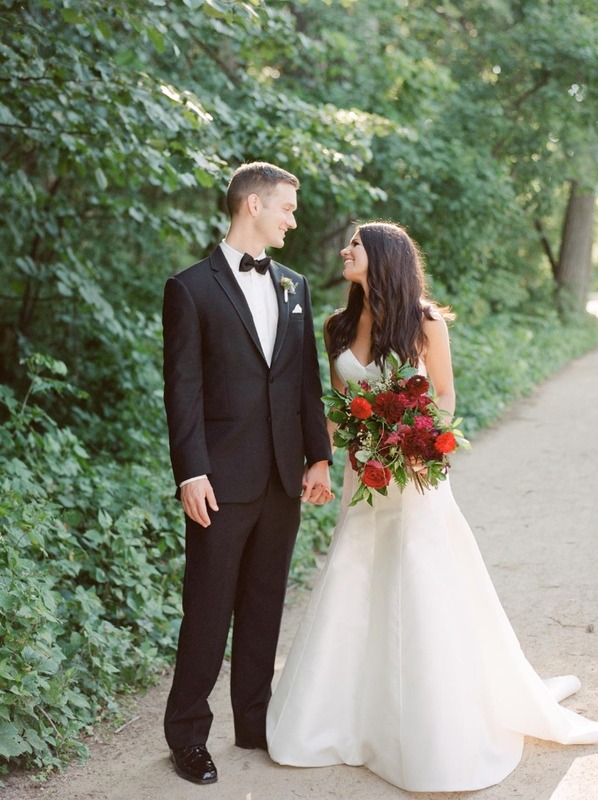 Jewel love this Wisconsin wedding and its gem of a color palette! 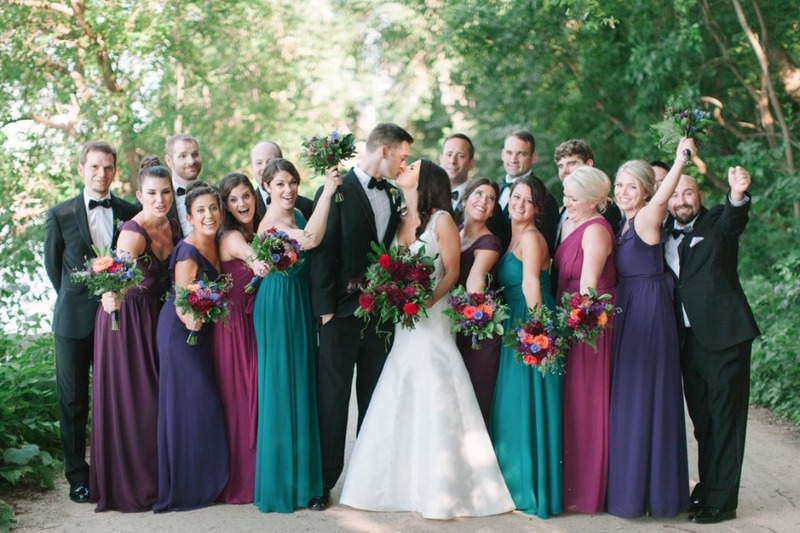 That's right, rich colors abound in this beautiful and classic style wedding day. 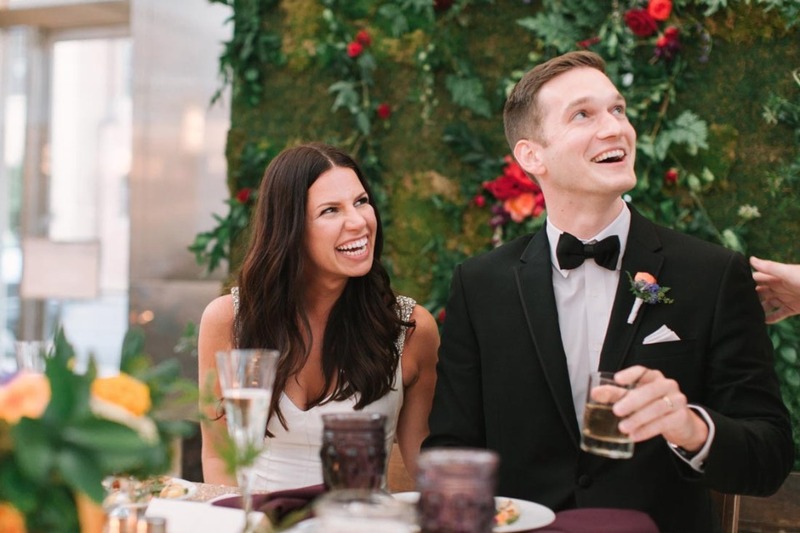 Bridesmaids were dressed to match the florals which matched the table settings and just wait until you get a load of the sweetheart table backdrop! 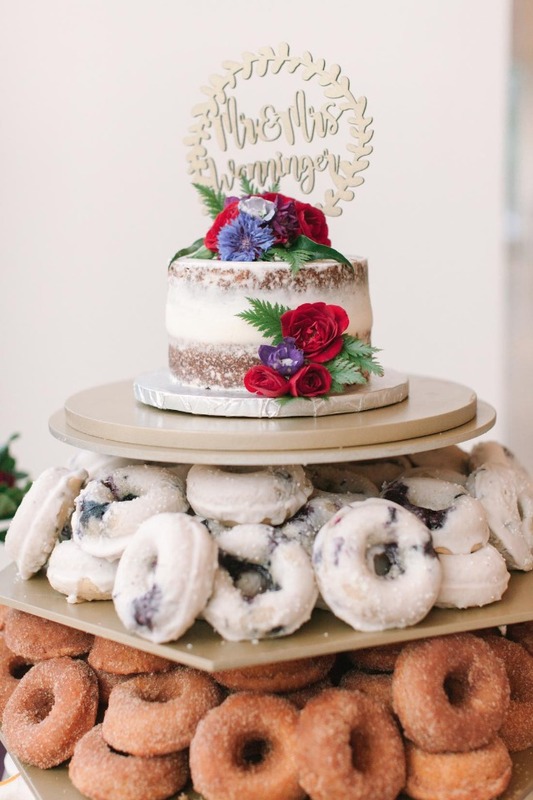 This sweet day is pure enchanted jewel toned magic! 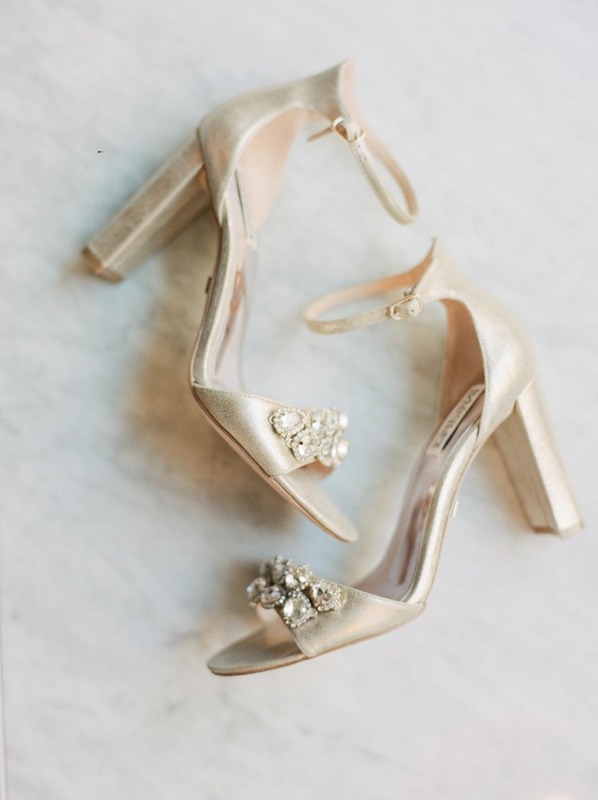 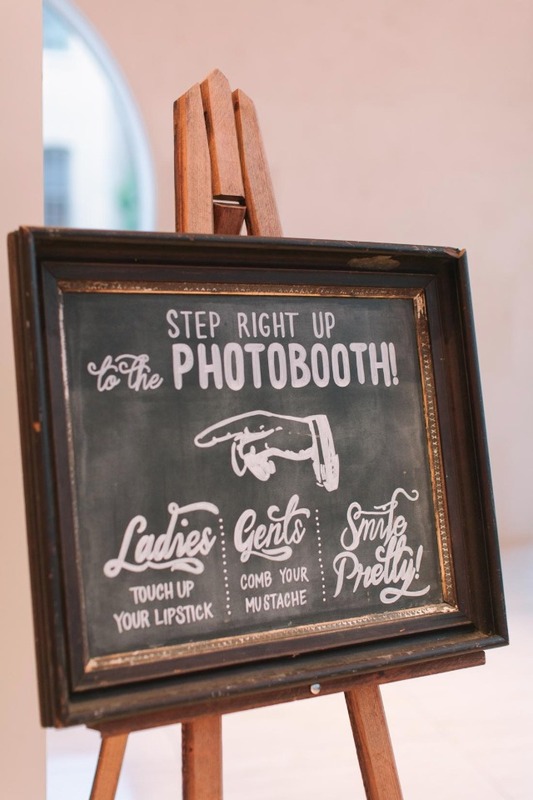 Keep scrolling to see more and make sure you see every last detail in our full gallery thanks to Kate Weinstein. 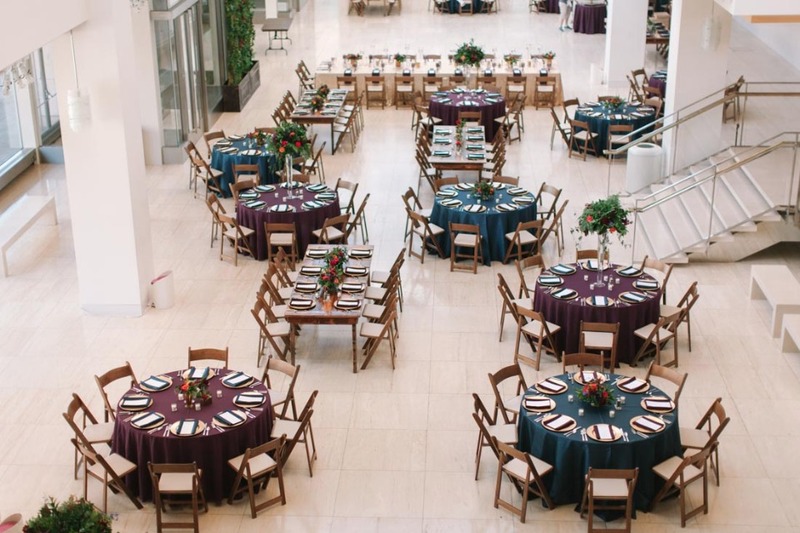 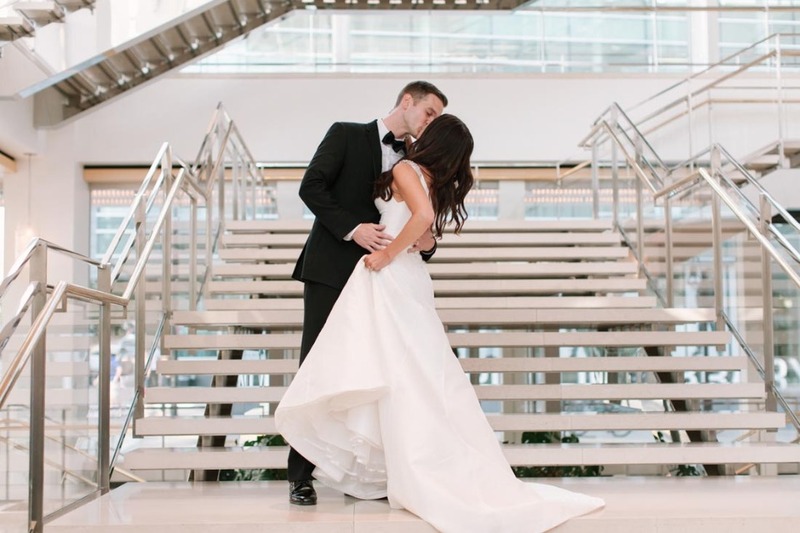 From Cherry Blossom Events: Kate and Ben were married at Bethel Lutheran Church in Madison, and held their reception at the Overture Center downtown. 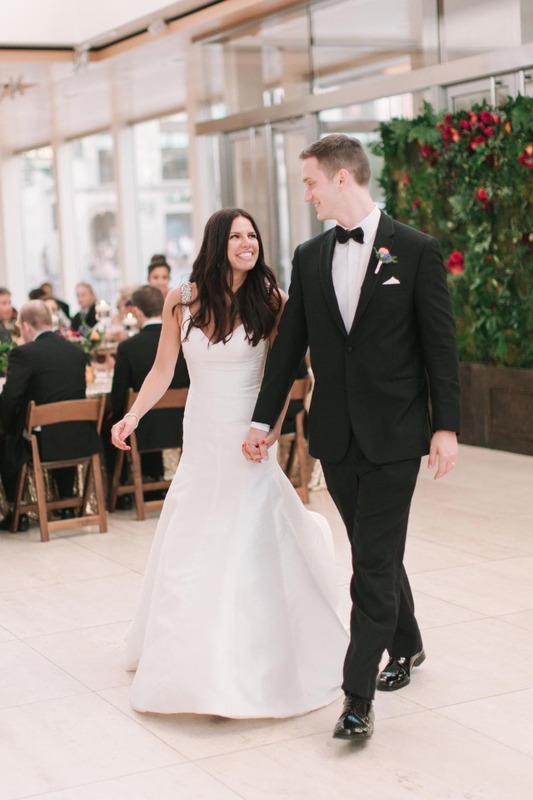 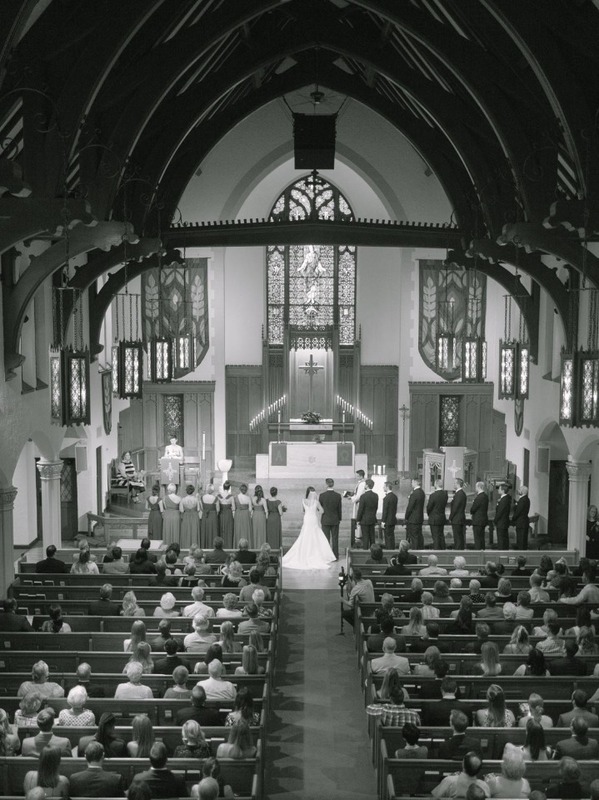 Since they met at UW-Madison, they decided to hold their ceremony and reception at iconically Madison locations. 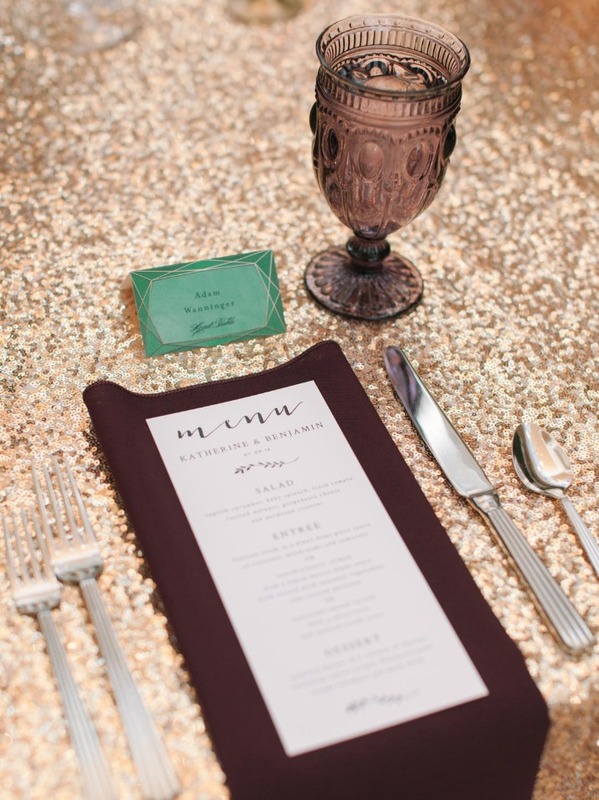 They used bold colors – bright jewel tones and gold sequins – to enhance the white canvas of their reception space. 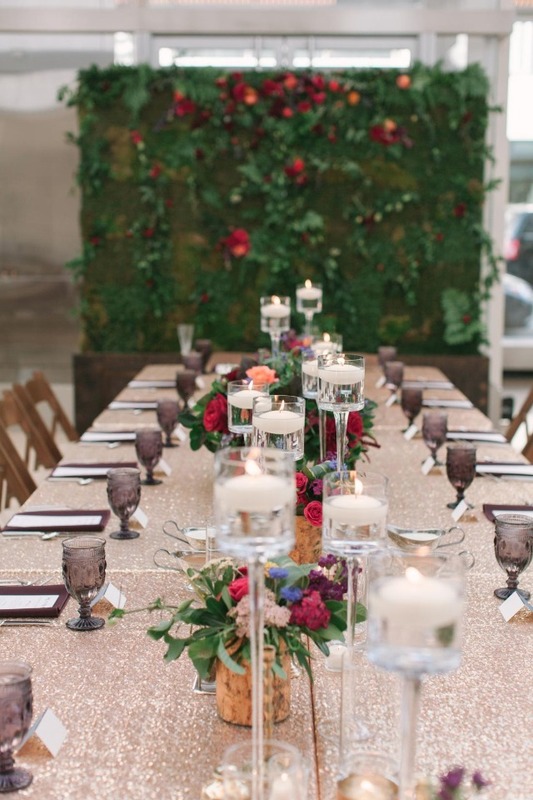 This array of jewel tones was echoed in the velvet furniture, linens, bridesmaid dresses, and floral accents, and wood elements added a bohemian twist. 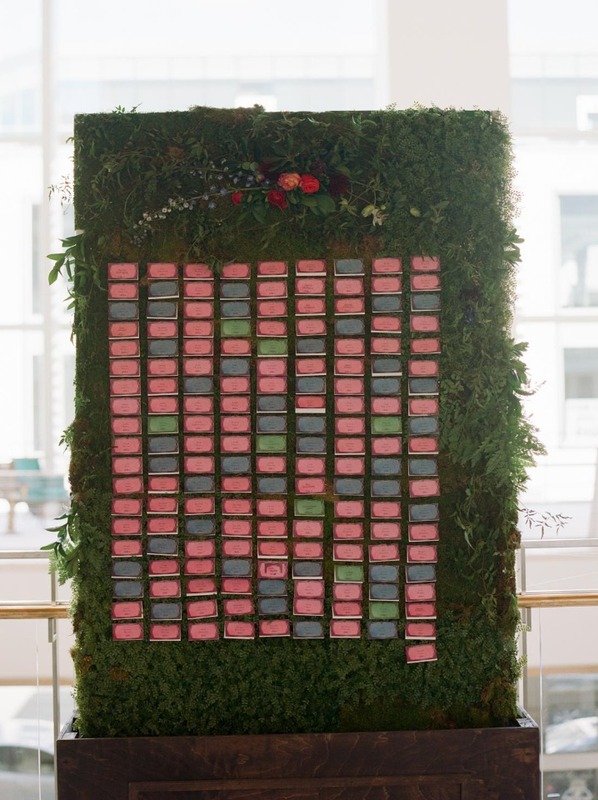 The showstopper was the floral wall behind the head table, which brought a new level of glamour that was true to Kate’s style. 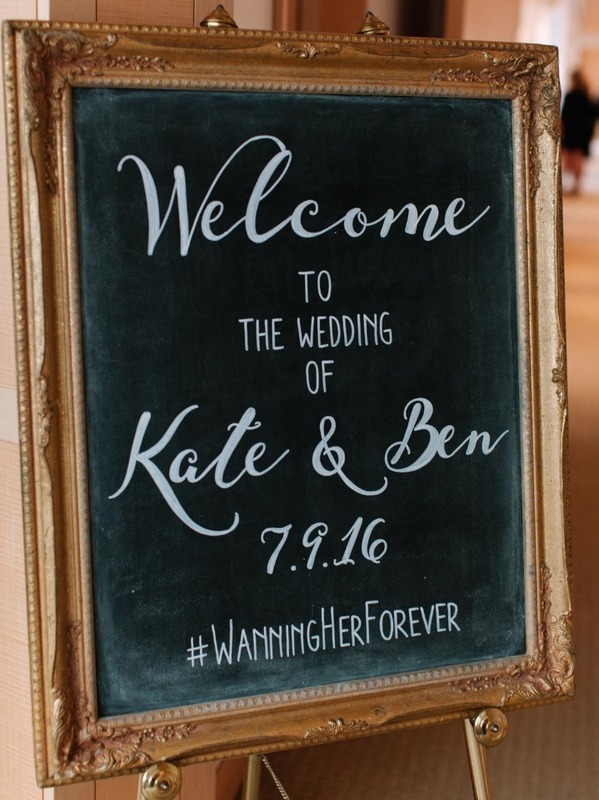 Overall, Kate and Ben’s wedding had a very classic look, but the layers of colors and textures gave a modern flare to this design. 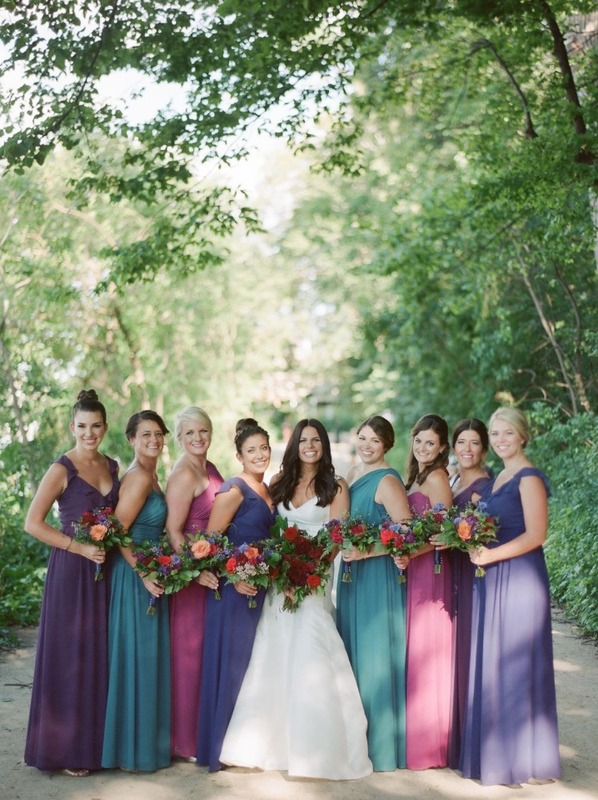 Are you loving the colors in this beautiful wedding? 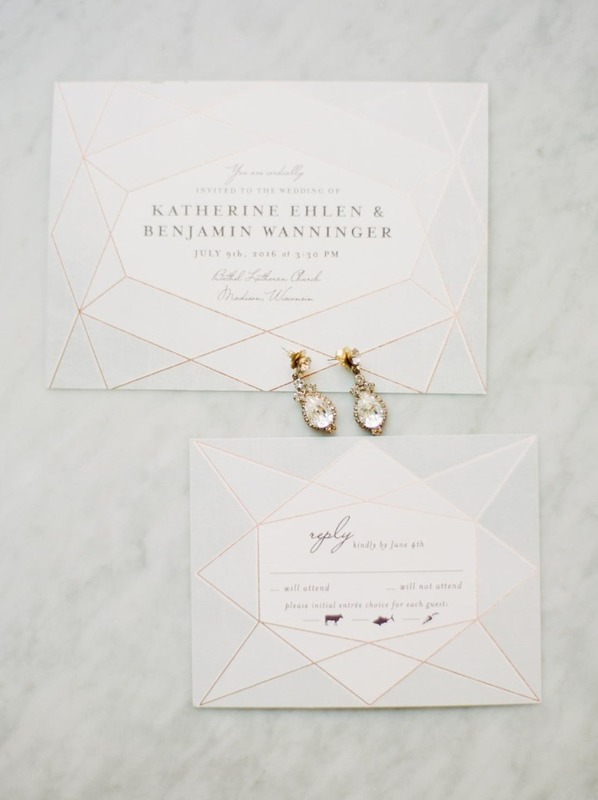 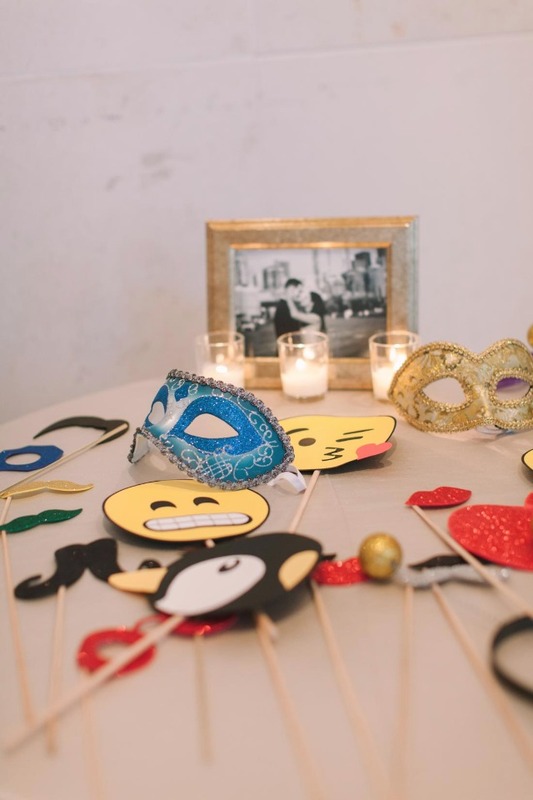 Want a few more ideas for your own jewel toned best day ever? 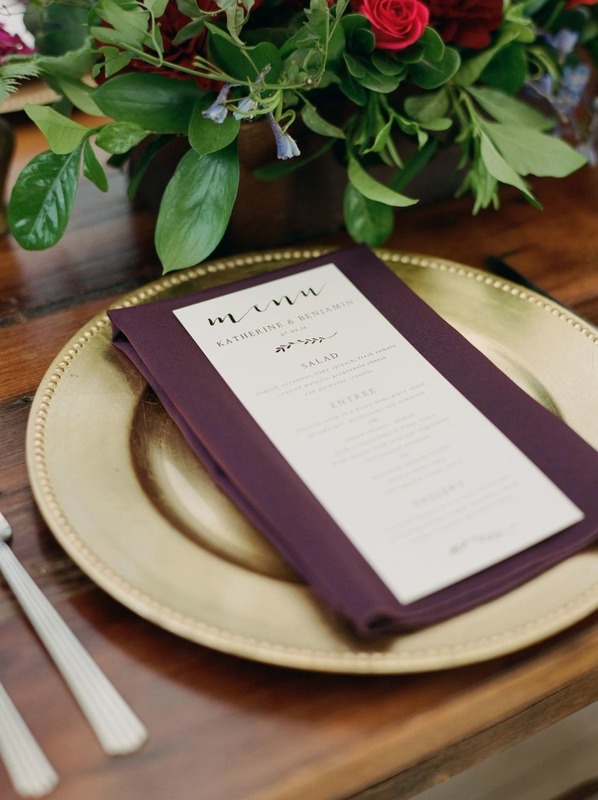 Check out this glam jewel toned wedding for all the deep burgundy and amethyst ideas you could want!